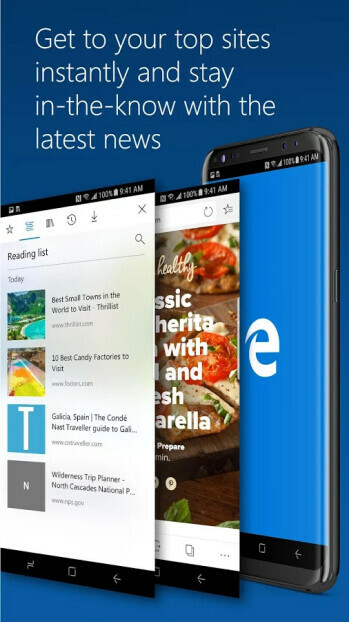 Since Microsoft released the edge browser for android and iOS users, the company had been constantly releasing new updates with new features and better improvements. The Microsoft edge browser has just received a new update with a new reading mode experience that's more immersive, although there aren't any changes noticeable at first glance. Another important addition to the browser is support for Android 8.0 Oreo's adaptive icons. According to Microsoft, the new update also features improved stability, better performance, as well as website compatibility. Finally, the new version of Microsoft Edge allows users to share links and text from other apps to the browser. The new update is now available for download on the Google Play Store.